Today’s card is the same layout as yesterday and uses the sweet stitches fabric that is on the current retired list. This fabric is oh so cute but only available while supplies last or May 31st. 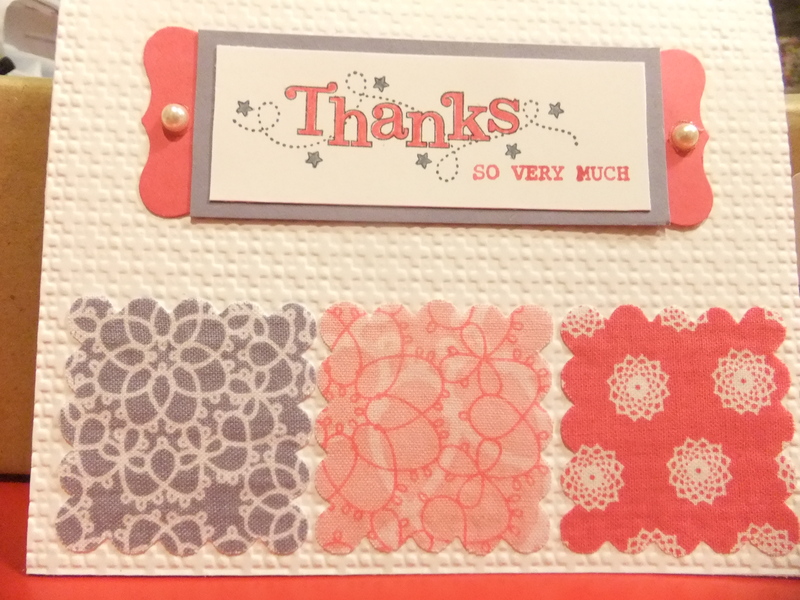 I love the design of this cute card that features the flirtacious fabric from the Stampin Up IBC. This card was a hit at our last card cafe and was the card I used as a thank-you for my birthday gifts. How great is that to use a card for a real purpose and prep for a workshop at the same time? The layout of this card is simpl and can be adapted to suit any of the yummy fabrics from the stampin up catalog. To cut the fabric I used the square die for the bigshot. It was fun to see the look on the card cafe attendees that you can actually cut fabric (among other mediums)with the big shot. The sentiment is now retired and was from the sale- a- bration but you could substitute any expression. Happy wedding day to my adorable newphew Kyle and his beautiful bride, Jess! I created a simple and elegant card for their wedding. I love the unusual color sheme of their wedding- Pumpkin Pie and Tempting turquoise. Card is textured with the elegant lines embossing folder and the simple letters alphabet (on the retiring list). I added the key tag and pleated the pumpkin pie satin ribbon (retired list). 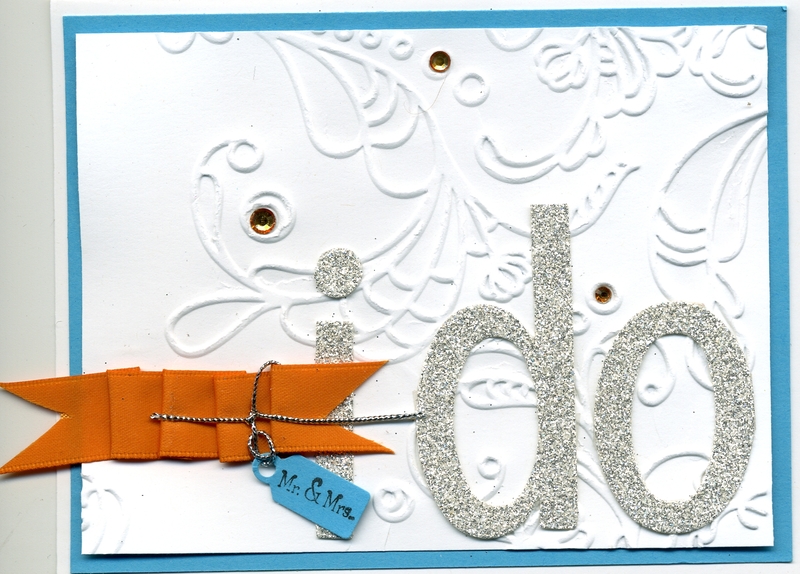 Card is finished with rhinestone bling that I turned pumpkin pie-ish with an orange Sharpie marker. 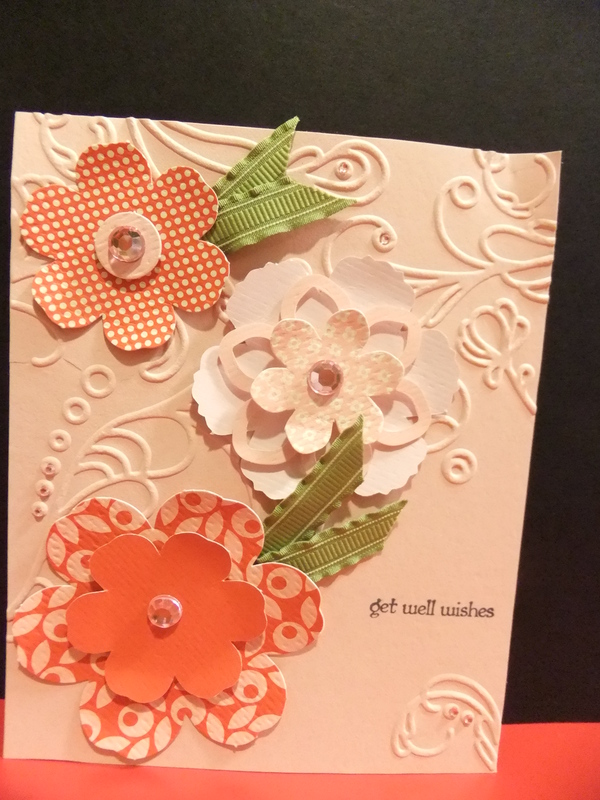 Todays post is the final card I made using the Designer Printed Blossom builder kit *125410. I made a total of 10 cards (2 Each of 5 designs) and still have stuff left over to make a few more. This kit is truly a great value and lends it self to make lots of cards in a short amount of time but it is only available until April 30th when the Stampin Up occasions mini catalog ends. I know what you are thinking. 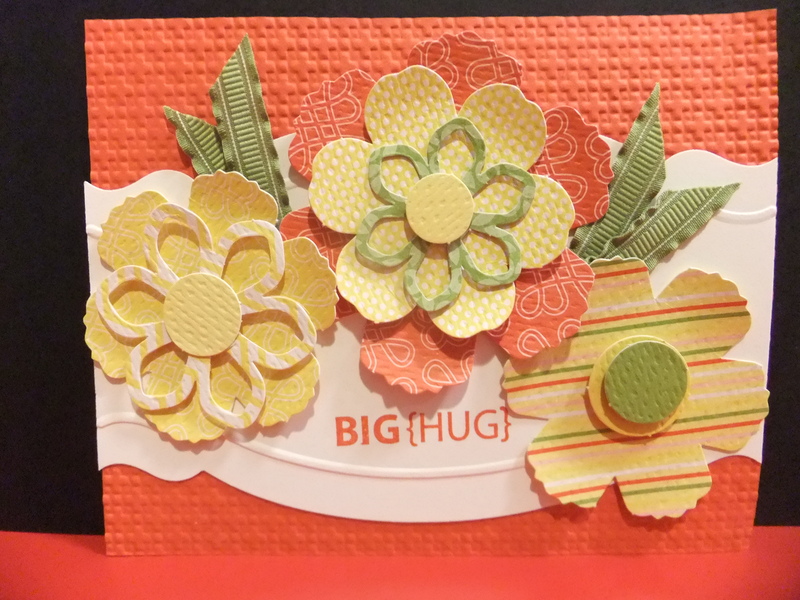 Enough with the cards from Designer printed blossom builder kit #125410 but it truly was fun to work with it and make so many cute cards! Lucky for you I just made 5 designs but 2 each of each design and still had stuff left over. Remember the Stampin Up occasions mini ends on April 30th so make your list and place your order. Stay tuned tomorrow for the 5th and final card using this fun kit. 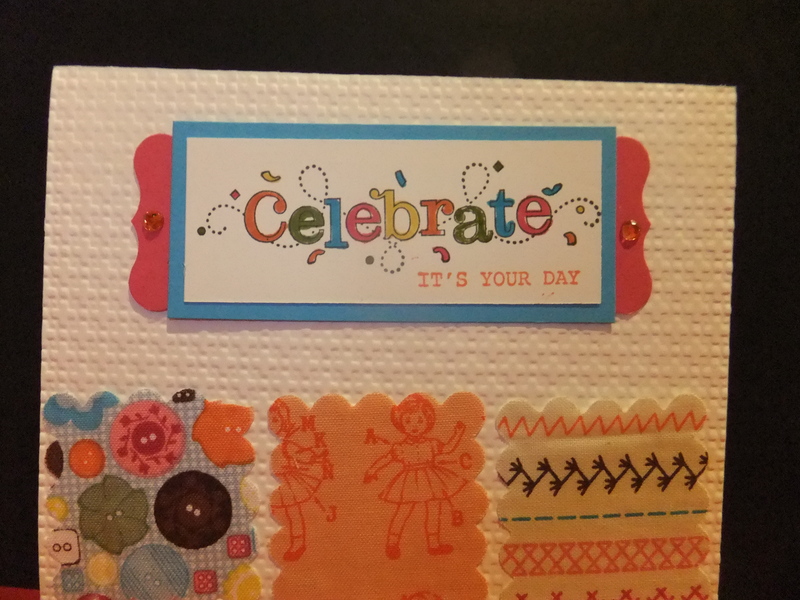 Today’s post is probably my favorite of the cards I made using the Designer printed blossom builder kit #125410 from the Stampin Up occasions mini catalog. I love the color combo of poppy parade and daffodil delight. 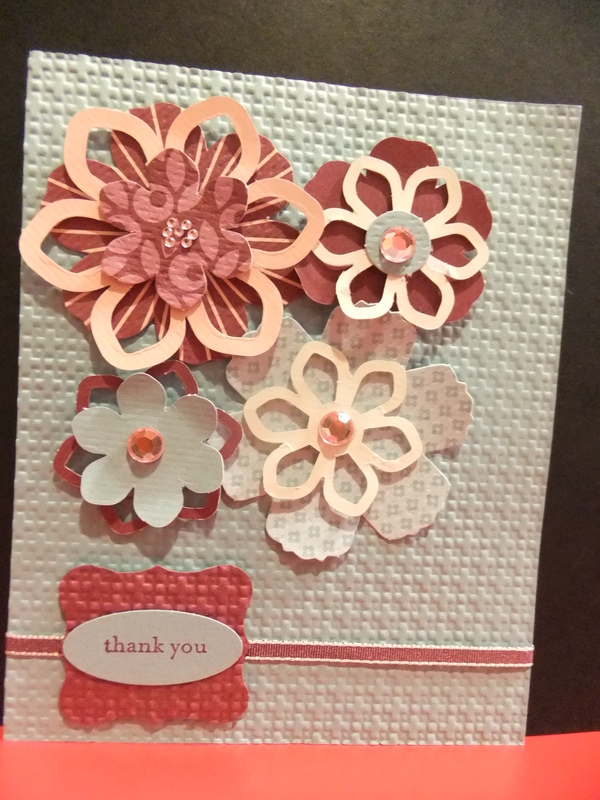 To add interest to this card I used the labels die framelits #125598 and adorning accents #1256021 (also from the occasion mini) to anchor the flower clusters. Added a scrap of ruffled ribbon in lucky limeade and stamped the sentiment.